Bee’s Wrap infuses cotton muslin with beeswax and jojoba. 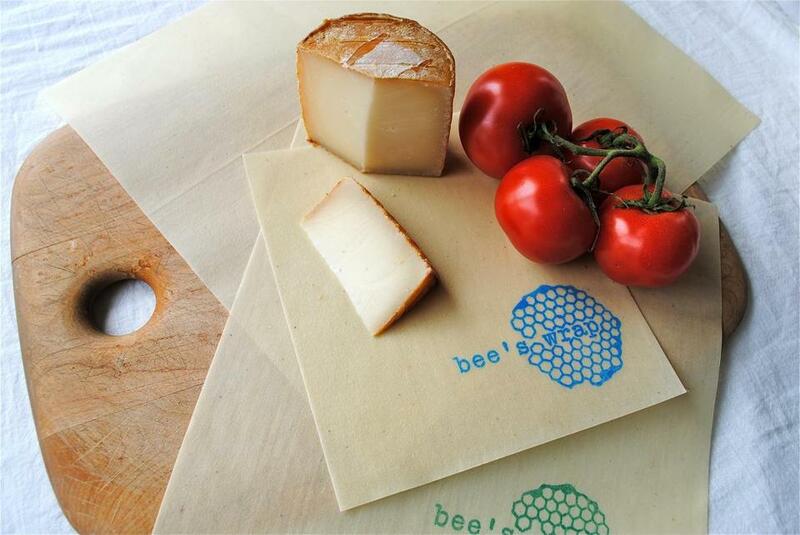 Bee’s Wrap is a reusable beeswax-and-cloth alternative to plastic wrap. Its creator, and mother of three, Sarah Kaeck, who lives with her family on a working farm in northern Vermont, explains her inspiration: “I became concerned about the environmental and health impact of using plastic to wrap the good food we were growing and making.” She discovered an old-fashioned method of infusing cotton muslin with the natural preservatives beeswax and jojoba (a shrub whose seeds make an oil). A 3-piece starter set ($16 to $19.95) of varying sizes lets you wrap anything from a wedge of cheese to a baguette. Mold the stiff sheets around food with the warmth of your hands; the packet will quickly cool to hold a seal. Wash in cool, soapy water and dry to reuse. What’s old is new again. Available at Cambridge Naturals, 23 White St., Cambridge, 617-492-4452; Kitchen Witch, 671 Centre St., Jamaica Plain, 617-524-6800; or go to beeswrap.com.